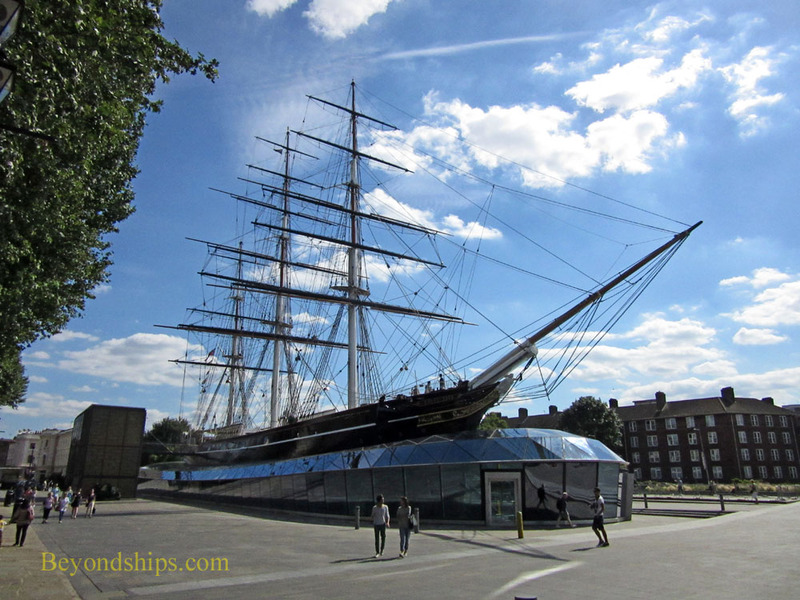 The main attractions that make up Maritime Greenwich are the Old Royal Naval College, the Cutty Sark clipper ship and the National Maritime Museum, which encompasses the Queen's House and the Royal Observatory, Greenwich. 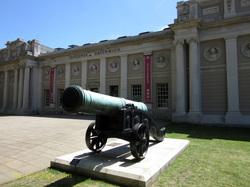 Other nearby attraction in Greenwich Park is the Ranger's House, which contains the Wernher Collection of fine art. While a connection to the sea is a unifying theme, Greenwich is not uni-dimensional. It has something for people interested in art, architecture, astronomy, history, education and science as well as ships and things nautical. Moreover, the attractions are all conveniently within a short distance of each other in a pleasant park-like setting. As discussed below, there is a lot to see at Greenwich. It can easily occupy an entire day. Greenwich is part of London and it can be easily reached from central London. There is a Docklands Light Railway station (Cutty Sark) and a Greenwich mainline railroad station near the attractions. However, the best way to get there is by boat. The complex was designed so as to face the Thames so approaching from the river you can see the array of buildings as they were meant to be seen. Furthermore, the tour boats coming down the river from Tower Pier and Westminster Pier dock next to the attractions. Accordingly, in this article, the starting point for our exploration of Greenwich will be Greenwich Pier. Exiting Greenwich Pier, you have to make a choice. Off to the right is the Cutty Sark clipper ship while off to the left is the Old Royal Naval College. Going to the left, you soon come to the Discover Greenwich Visitor Centre. Housed in the Victorian Pepys Building, the Centre provides an introduction to the Old Royal Naval College, which is a few steps further down the sidewalk to the east. The Centre has a permanent exhibit on the history of the site and the architecture of its buildings as well as temporary exhibitions. The Old Royal Naval College is built on the site of Greenwich Palace (also known as the Palace of Placentia). That palace was begun in the 15th century and as a principal royal residence continued to be expanded and enhanced until the English Civil War in the 17th century. The three of the five Tudor monarchs - - Henry VIII, Mary I and Elizabeth I - - were born here. After the Civil War, the victorious Parliamentary forces used the old palace as a biscuit factory and it deteriorated significantly. When the monarchy was restored in 1660, King Charles II commissioned a new palace to replace Greenwich Palace. However, progress was slow and only one wing of the new palace was built and it was never occupied as a royal residence. In 1688, William and Mary became joint monarchs. William had asthma that prevented him from living by the river at Greenwich. Therefore, Mary, who had been moved by the sight of wounded sailors returning from battle, ordered that the new palace be built as a hospital for seafarers. Sir Christopher Wren was given the task of designing the new hospital. His first design called for the hospital building to stretch along parallel to the river in front of the Queen's House. However, since this would have blocked the view of the river from the Queen's House, Mary rejected Wren's plan. This royal decision caused Wren to re-think, leading to an inspired design. The hospital was built in two sections that essentially present mirror images of each other. Closer to the river the two sections are separated by a large plaza. Then further inland, the sections are separated by a narrower but still broad avenue. Beyond the hospital buildings is the Queen's House. The result of this arrangement is that when viewed from the river, the Queen's House becomes the focal point between the two halves of the hospital. When viewed from the Queen's House, the view of the river is framed by the hospital buildings. As a result, all of the buildings become part of a unified whole. Although Wren's buildings were designed as a hospital, there is nothing clinical or sterile about them. Rather, they are elaborate Baroque structures. Inside, the Painted Room (the original dining hall) and the Chapel are similarly grand and ornate. In 1869, the hospital was closed. Shortly thereafter, the Royal Naval College moved into the empty buildings, which became classrooms for the training of Royal Navy officers. A small nuclear reactor was even installed in the King William building in 1962 for the training of submarine officers. In 1998, the college was consolidated with the Army and Royal Air Force staff colleges and moved elsewhere. These days, Wren's buildings are the home of the University of Greenwich. Visitors are free to walk the grounds and tours of the interior are given through the Discover Greenwich Centre subject to the requirements of the university. For information on opening times, see the Old Royal Naval College website. As mentioned earlier, when you exit Greenwich Pier, you have a choice of going to the east or the west. If you go west a few paces, you come to a sleek-looking tall ship seemingly sailing atop its own unique modern building. This is the Cutty Sark, the last remaining clipper ship. It is not a re-production but rather the actual ship restored and is well-worth a visit. (See separate article).